With the beta coming in October, Star Wars Battlefront will have a plethora of game modes fans can play to their heart’s content. While some are interested in the main story and others are anticipating the return of Heroes Vs Villains, all eyes will be poised on the leaked “Drop Zone” Mode EA made in their last announcement. Nobody except the game developers knew exactly what this mode had in store for us. Well, at least until now. EA has dropped some information as to what the new Drop Mode would entail. Drop Zone will be a combination of Capture the Flag and King of the Hill as teams will have to find Drop Zones, indicated by pods falling from the skies, and secure the area while defending it from enemy units. Upon capturing a pod, your team will unlock a random Power Pickup, in-game power-ups which will help your team achieve victory. The first team to claim 5 pods or the team that has secured the most pods at the end of ten-minutes will be determined the victor. 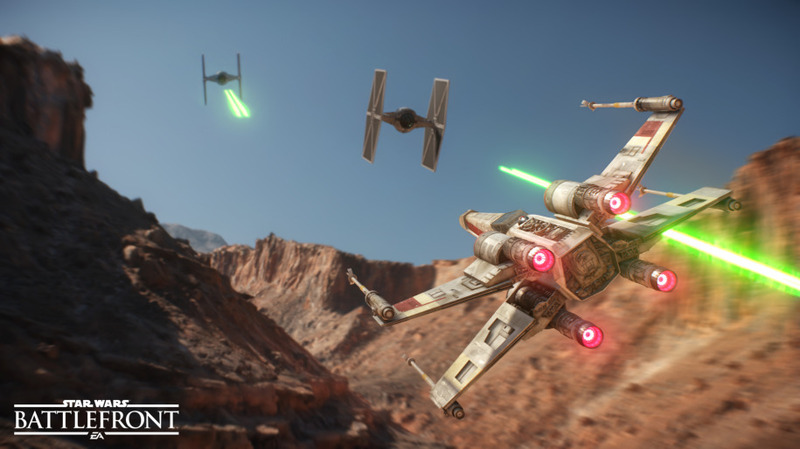 Star Wars Battlefront is set to release on November 17, the beta opens in October so you won’t have to wait too much longer to get your fix. For more updates on Star Wars Battlefront, keep up with cpgaming.gg.